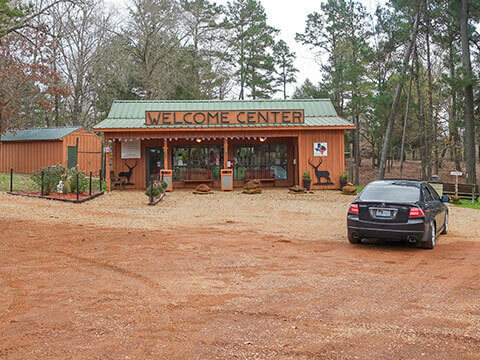 For more information about our wild animal park, call (903) 683-3322. To avoid any inconvenience, please give us a call before you come to ensure factors, such as weather, are not affecting our hours. Nestled in the lush piney woods of East Texas, 12 miles East of Jacksonville, TX. 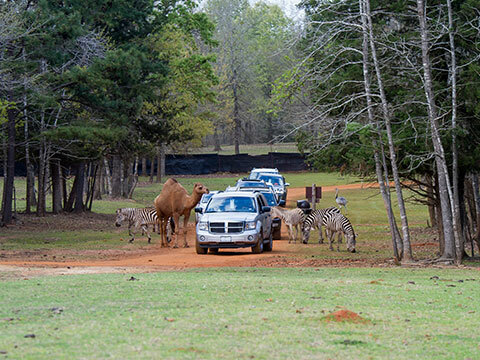 Cherokee Trace Drive-Thru Safari is a wildlife park that is home to an amazing variety of wildlife. See over two dozen exotic and endangered species that thrive in an open habitat similar to their native territory. At your own pace, enjoy a self-guided drive through the hills and open savannahs of this 300-acre preserve. From the comfort of your own vehicle, you can observe, feed, and photograph these beautiful creatures. This natural environment has miles of roads that take you into a whole different world. Spot a Watusi (African longhorn cow) mother and calf grazing near a spring-fed pond. 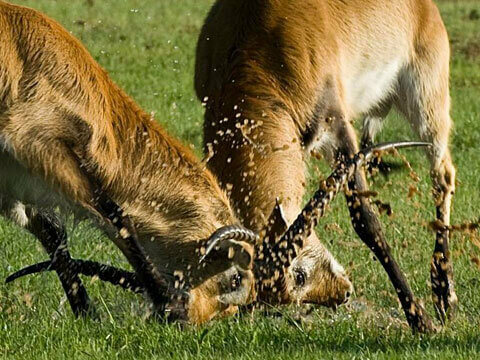 Watch the Blackbuck (Indian antelope) studding across an open field. Find our most up to date hours of operation and book your adventure today. Get directions from a specific route or use Google Maps for the most accurate directions. Drive through the park at your own pace, enjoy your lunch and access to the park for the entire day.